Smart Communities is a new approach that will bring exposure to digital content and technology out into the community and support people to discover the value of using digital in their daily lives. By working together and combining existing assets and resources under a shared vision the community will maximise reach, impact and engagement of current schemes and programmes. The Smart Community initiative has the potential, in combination with local authority Digital Strategies, to deliver enhanced demand stimulation for uptake of High Speed Broadband services in urban and rural communities. 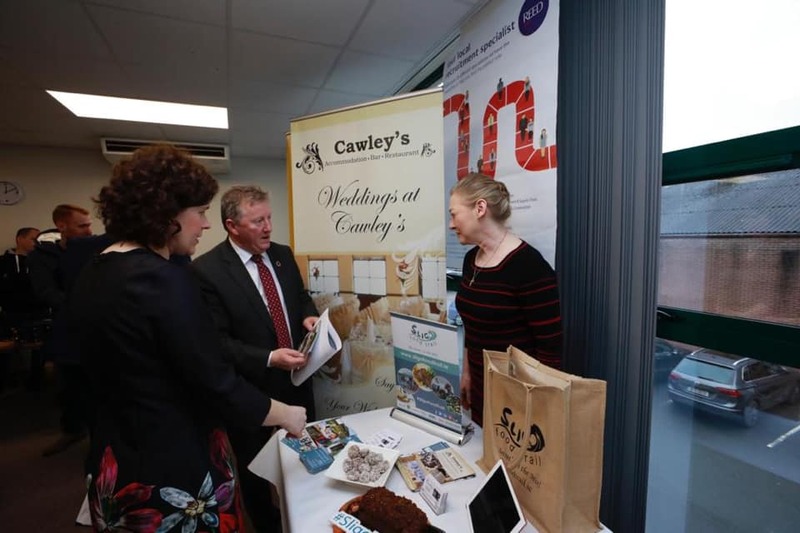 Teresa was delighted to meet Minister Canney and be part of the business showcase at the launch of the Smart Community. At Cawley’s, we have embraced the digital age we live in and understand the vast opportunities involved in using technology to enhance our business. Since 2011, we have been using an online booking engine on our website, making the process much easier and more efficient for both staff and customers.